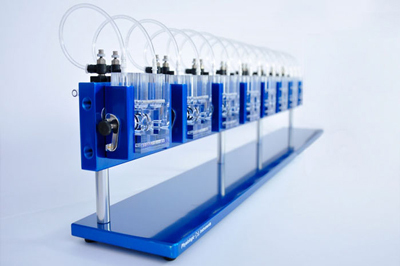 Physiologic Instruments designs and manufactures instrumentation, EasyMount Ussing Chamber Systems and Data Acquisition products for studying transport across epithelial barriers. 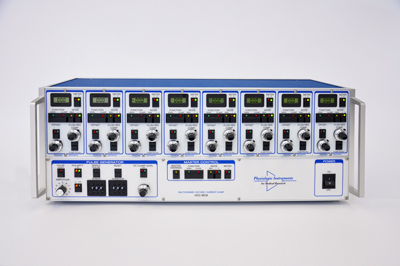 Transepithelial voltage, short-circuit current and resistance are measured using single and multi-channel voltage/current clamps that may be directly connected to Acquire & Analyze for automating data collection and analysis. 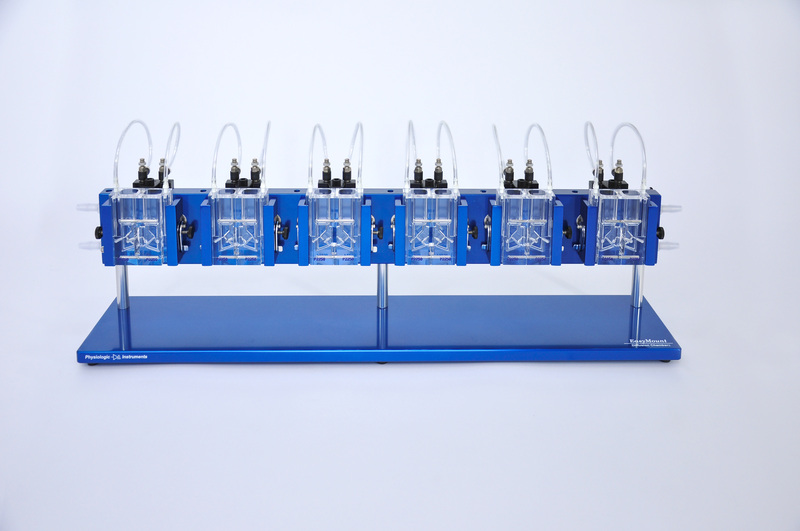 The larger multi-channel clamps include a Master Control section to enable control of all clamp channels from a single set of switches. 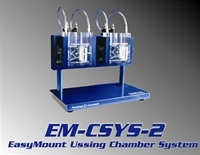 Tissues and cell cultures are studied using our EasyMount Ussing Chamber Systems consisting of individual Ussing chambers, a heating block for temperature control, needle valves for adjustment of gas flow for oxygenation and stirring, and Ag/AgCI reference electrodes for measuring transepithelial voltage and passing current. 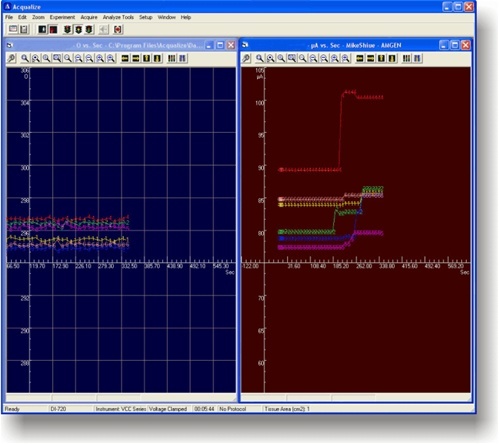 These systems have been designed for ease of use, easy cleanup, and flexibility. 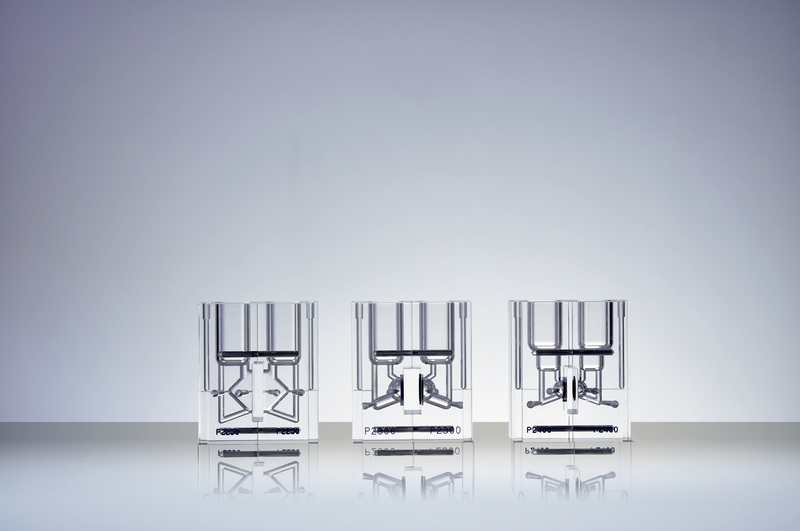 Cell Cultures and a wide variety of tissue types may be mounted on special inserts that simply slide into position in the chamber. Electrodes insert from the front permitting unrestricted access for fluid sampling. 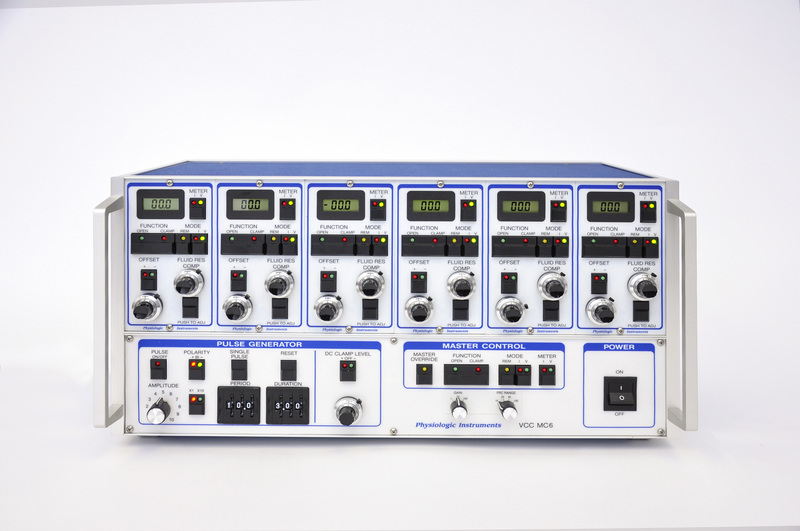 Physiologic Instruments is a leader in equipment for epithelial barrier research. Applications: Electrophysiology, Pathophysiology, Nutrition, Flux Studies, Permeability Studies, Drug Transport, Drug Screening, Toxicology, Pharmacology, Immunology, Parasitology, Cell Biology, & Many More. Ussing Chamber, Ussing Chambers, Ussing Kammer, Ussing Kammers, Ussing Chamber Systems, Ussing Kammer Systems, Multichannel Ussing Chambers, Multichannel Ussing Kammers.